Our supreme margarita combines Gran Gala and premium Patron Silver 100% Blue Agave Tequila. A nice balance between sweet and spicy, house margarita with muddled jalapeño shaken and poured over ice. 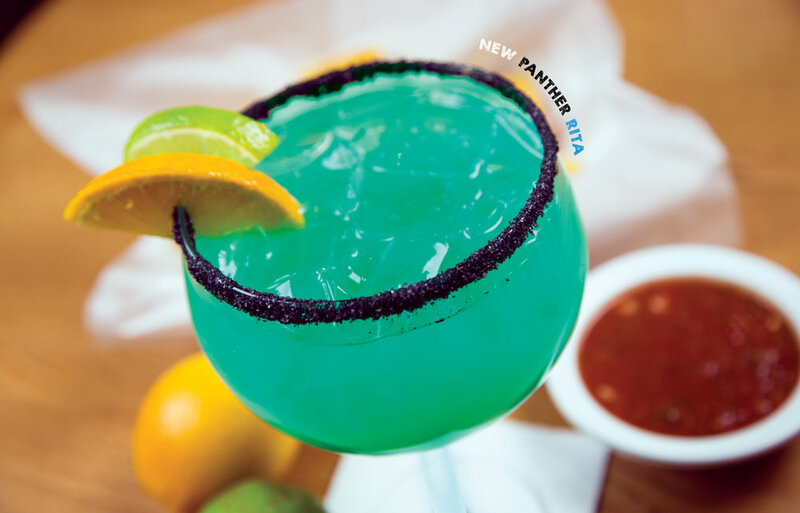 Get on the field and go black and blue with our new panther margarita. Degollado 100% blue agave Tequila, Blue Curacao Liqueur, Agavero Orange Tequila and house sour mix. A nice refreshing fusion of pomegranate, muddled jalapeño and agave nectar mixed with Degollado Gold Tequila, shaken and poured over ice. Try something different. Premium Maestro Dobel 100% Blue Agave Tequila with Agavero, homemade sour mix and served with a black lava salt rim. The best of both worlds! 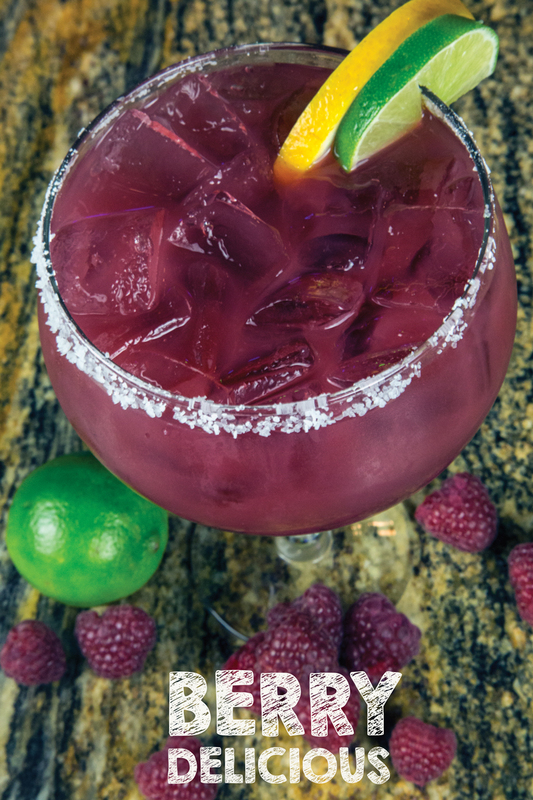 A blend of our classic margarita and our delicious Red Sangria. Served on the rocks or frozen. A dream in itself! Our delicious classic Margarita blended with Blue Curacao. Sweet and wild. This delicious margarita is mixed using your favorite Tequila with strawberries and blueberries. A blend of fresh raspberries and watermelon make this margarita sweet and delightful. A delicious lighter alternative made with fresh squeezed orange and lime juice, Agavero and premium Familia Camarena Silver Tequila. Premium Casamigos 100% Blue Agave Tequila, triple sec, homemade sour mix and served with a salt rim. Cuervo traditional premium Tequila with homemade sour mix and a splash of Gran Gala liqueur. Medium or Pitcher. A traditional Mexican cocktail made with premium Tequila, grapefruit soda and fresh squeezed lime juice served over ice. Tito’s Handmade Vodka, pineapple juice and a splash of cranberry served over ice. The Mexican version of the classic. Premium silver Tequila with muddled mint, fresh lime juice, simple syrup and soda. Our house Tequila mixed with orange juice and a splash of grenadine. A Mexican tradition made of tomato juice, clamato, hot sauce and your favorite Mexican beer. Yellowtail. Merlot, Cabernet Sauvignon, Shiraz, Chardonnay. Our Classic Red Sangria is made from a mixture of red wine, burgundy and fresh fruit.